Stepping into the hotel lobby, I took a deep breath and exhaled. After traveling all day I was more than ready to be done with crowds of strangers and airline demands. Happily I stood with the luggage a few steps from the front desk while Dennis checked us into our hotel. Moments later with room keys in hand Dennis extended his arm toward me with a pink slip of paper. Glancing at it I read, “call Dr. Smythe immediately.” We didn’t know a Dr. Smythe but we did know a Dr. Smith who was my ob-gyn doc. Instantly I knew this had nothing to do with our four kids left at home for the weekend with friends or my own health for that matter. It had to mean he knew about a baby. My heart rate increased and suddenly I wasn’t fatigued anymore. Could this message mean a baby was available for adoption? We called as soon as we got to our room and heard our friend explain a teenaged girl was in labor, the baby would be relinquished for adoption, and all had agreed this baby was for us. That phone call was the first of many unexpected surprises, wonders and miracles God was orchestrating for us. I thought of nothing else all weekend. My prayers were for this soon to be bereaved young woman, confirmation of God’s leading and Lord give us a name fast! When we arrived home a few days later we were the proud parents of five. When we brought our newborn baby girl home the next day we had no idea what God had in mind for us…ALL of us. We only knew this was clearly and unmistakably His plan for her and our family. Over the 35 years of her life I have learned more about the heart and character of God than I could have any other way and I am and will be forever grateful for His beautiful all-things-for-good idea of adoption. 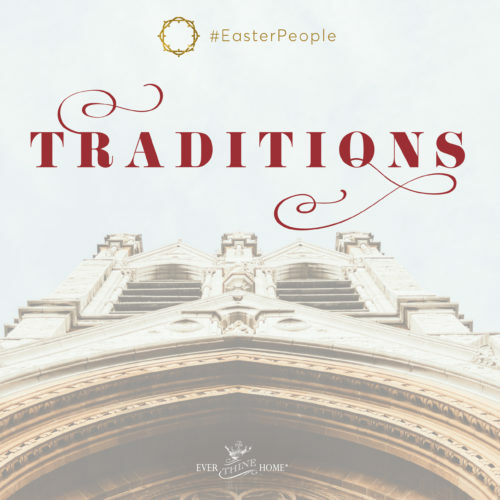 But adoption isn’t just about “settling the solitary, the orphan, in a home” (Psalm 68:6). Among His many purposes is His desire to reveal who He is as Father and Savior to all adoptive parents. Here are three life changing lessons God kindly taught me about Himself that all parents need to know and believe. God will rarely if ever over rule the free will of man. This decades old story will remain forever true because every human has been gifted a free will. Parents can only do so much, or maybe it’s so little, to control that free will. Even the best parenting will not guarantee a child or children who don’t rebel and push parents out of their lives. After all God is the perfect parent and all His kids have rebelled. My mistake with all our children including our adopted daughter was assuming if I played by God’s rules He’d keep His promises to bless us, He’d control their sinful desires, aka free will, and He’d prevent them from making significant mistakes. I knew we weren’t perfect parents but I did make assumptions about God that were presumptuous. Starting in sixth grade our daughter began making some small decisions that were not in line with what we’d taught her. Several years later she was struggling with her identity, as most teens do, but hers was compounded by the unknowns of her adoption story. By the end of high school she’d pushed us away. We responded over these years with increased communication, continued disciplines, increased prayer, fasting for a year, reading and researching solutions and helps, and dozens of other attempts to intercede in her life for her good. It seemed to us that nothing worked. Today she is 35 and we can see in hindsight that much of what we did was effective, but not as we had hoped or expected at the time. We wanted dramatic, instant and permanent change we could measure. But God was at work with the whole of her life in mind. We saw only today. I learned nothing I could have done would have overruled her free will because God will not overrule the free will of man. Only God could reach her heart and only He knew how to accomplish that miracle of His grace. Only He knew the timing of her life. Why doesn’t God overrule the free will of our children to save them from heartache and pain? God sees the L O N G view of life and desires that we of our free will choose Him. Like most Christian parents we knew, we imagined the end result of parenting to be an 18-year-old who graduated from high school alive, safe and healthy; ready for life in every way; and most of all ready to follow Jesus’ plan for her life. But our adopted daughter didn’t follow the traditional path. She chose a path that for a season wasn’t wise, and decided not to choose Jesus’ way (though today she is a wise, faithful follower of Christ). I felt like I’d failed as a parent, as her mom. Those were terribly painful days for me. But God saw the future. He knew what was ahead. 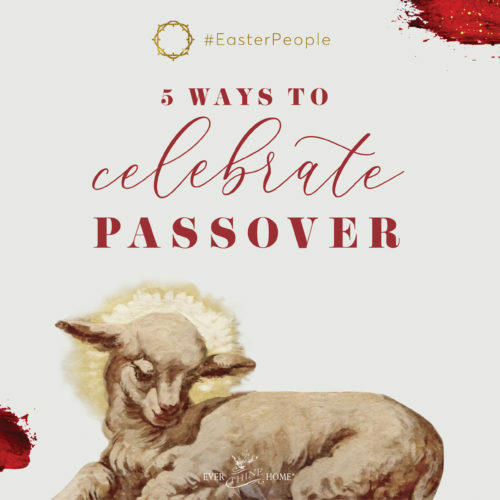 He taught me how to wait through the story of Moses who, it says in Hebrews 11:24, “when he grew up…chose to endure ill-treatment with the people of God rather than the passing pleasures of sin.” Another verse (Acts 7:23) says Moses was about forty when he decided to visit his people the Israelites. God was willing to wait on His child Moses’ decision to choose Him. He wants me to wait on His timing and plans for my children, too. He loves them more than I do and wants them to know Him more than I do. Sometimes we feel we need to keep “helping” our over age 18 children to choose God’s way, but often times He can do more without our help! My good work and my heart’s sincere desires are not enough to shape my child and guide her to follow God. Every parent, but especially adoptive and foster parents, begins the journey fervently believing she can love enough, care enough and be enough for this child. Every one of us hopes and prays this child won’t just survive but thrive; and we pray desperately she will avoid the common traps traumatized children often face. We love them so much we want to spare them as much pain and suffering as possible, but I have learned by watching my child make life altering choices that we cannot. God’s ways are higher than mine and far wiser too. “For My thoughts are not your thoughts, neither are your ways My ways, declares the LORD. For as the heavens are higher than the earth, so are My ways higher than your ways and My thoughts than your thoughts,” (Isaiah 55:8&9). I learned a very important lesson: God wants me and my child to understand that He alone is enough. If I am enough for my child she will never need God. Parenting is a partnership with God. 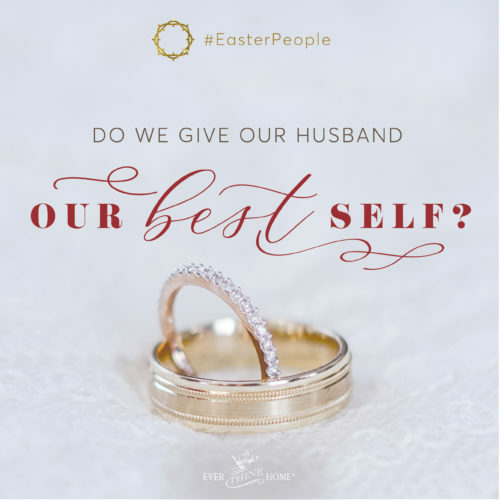 The challenge is remaining dependent on Him while working out all the tests and trials of being mom and dad without slipping into believing it all depends on us. Stay tuned for part 2 next Monday. I’ll talk about how to remain hopeful as a parent and an interesting little truth I’ve learned about us women that impacts our parenting and all of our lives! 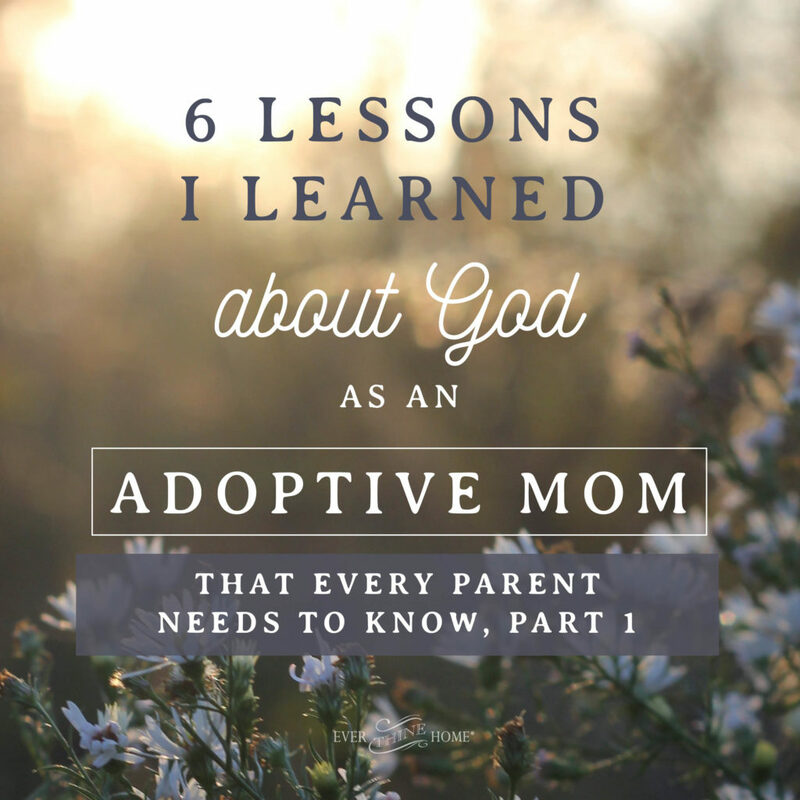 I’d love to hear from you if these lessons I learned encouraged you, especially if you are an adoptive parent. If you aren’t share this with someone you know who is! Talk to God often this week and may you hear His whispers to you! I so needed this reminder today. We have spent 42 years on our adoption journey with our daughter and 37 years on our adoption journey with our son. There have been many peaks and valleys along the way and just when I think the road may have leveled out, one of them heads for the valley again. They have brought much joy to our lives, and taught us more about prayer than I ever imagined. The feeling of ‘if only’ still haunts me at times as a mom. The ‘if only’ of if I had been a believer sooner — would I have taught them more, prepared them better…etc. But, your words about ‘free will’, bring me back to Truth. God will not impose His will — wanting them to choose for themselves…how true. Just as I had to choose Him for myself. So, my prayers will continue. Jeremiah 31:16-17 Thus says the LORD: “Keep your voice from weeping and your eyes from tears, for there is a reward for your work, declares the LORD, and they shall come back from the land of the enemy. There is hope for your future, declares the LORD, and your children shall come back to their own country. Is there laughter in the walls of my mind? So often hard to find. Do I remember each child crawling on dimpled knees? To hold each one and say- I’m so blessed you are mine. I held you close and loved you so. A waterfall of love that flows. Now you are gone and days go on. You are grown with families and dreams of your own. And we are left to begin a new dawn. Praying I will trust when I am alone. Seeking my Savior and holding His Hand. Listening in the dark for His soft spoken Word. Relying on His strength to stand. Eternally grateful His truth I have heard. Praying you realize the importance of every choice. Of hearing your decisions without asking ‘why’. Accepting a mother’s wound while learning to say good-bye. Always grateful for Your truth that consoles. You are helping me to finish my appointed race. we are looking into getting my 16mo. old great niece out of foster care. We have 2 biological boys and are getting up there in age (45&53). We follow the scriptures and know that Jesus mandates us to care for the orphan and widdow. Women to train up the younger generation. I feel like God is leading us, but I am fearful of the potential strain on our family, marriage, relationship w/my biological kids, financial stress, etc. The foster family also wants to adopt her and I am wondering what her destiny shall be? Who am I to mess with her destiny? maybe she is meant to be w/the foster adoptive family? I am praying…..unfortunately, courts don’t wait for answered prayers. God is providing encouragement to this very weary adoptive mom through yours and your daughter’s recent writings. We are four years into this love journey with our now 9 year old daughter. It takes a toll on our marriage and our biological son. The current song that talks about ridiculous grace and being loved/accepted while being fully known is another reminder to me to love her as God does—so hard. God help us and her! I am so grateful for your ministry over the years! This is really encouraging to me today. Recently we have made some tough choices in regard to our adoptive daughter. We can see God working in it but it is so hard. Thanks for letting us in to your journey! Thank you for sharing your heart, Barbara! I am an adoptive mom of 3 boys and we also have 3 biological children. I have experienced great heartache as a mom watching my biological daughter make choices that didn’t line up with what we taught her. I made the same mistake of assuming if I played by God’s rules He’d keep His promises to bless us, He’d control my children’s sinful desires, aka free will, and He’d prevent them from making significant mistakes. I am learning that my presence, unconditional love and consistent kindnesses are what God is using to impact my daughter more than my words. I’m trusting God that one day I will be able to say as you do that, “she is a wise, faithful follower of Christ.” I’m so thankful God is Sovereign over all! Yes, so true! So many of your experiences were ours and you worded well the same lessons we learned, eventually. My best lesson was and still is, as you stated, He alone is enough. Thank you Barbara for sharing your heart and your story! I will never forget the day I first heard your adoption interview you shared years ago. I just remember listening, my jaw dropped open and my ears tuned intently as I couldn’t believe I wasn’t alone in the struggle. I was thinking God had made a huge mistake trusting me with this adopted gift. Your story gave me encouragement to just keep trusting and fighting for her to know the Savior despite our short comings. It’s never been an easy road but we have seen the hand of God create a beautiful young teenager out of the great struggles and are praying she will follow Him in the days to come. Thank you Barbara and Dennis for your great encouragement to me and my husband, we are eternally grateful!! Blessing to you and your family! Thank you Barbara! This so encouraged me. My son just got out of hard drugs a year ago. We are so happy for this change in his life but we are not seeing any desire for God yet again. We have been raising his 9 year old daughter since she was 8 months old. We all pray for him but we wait for God. Mom is not alive anymore. We are raising our granddaughter to love God. She prays for Daddy and is so happy he is home with us again. Thank you again for the encouragement to me in this article. God bless you! I know how heart breaking drug abuse is for families. I’m grateful with you that your son is back. May he open his heart to the only One who can meet his every need.